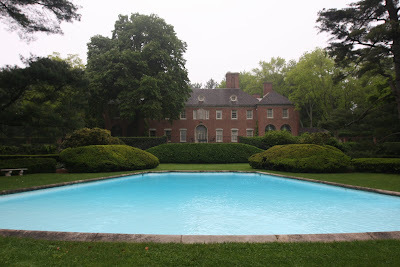 The rear of Howard Phipps' 'Erchless' in Old Westbury. It comes from Erchless Castle in Scotland, a place the family visited in the late 19th century. Unrelated, but on TCM the 1954 Technicolor movie "A Woman's World" has a brief shot of Coe Hall, and the large gates. The estate is suppose to be the home of an auto tycoon!